1. To work as a HGV driver you need training. For starters, you will need to be at least 18 years old and hold a full car licence. 2. If you meet these criteria, you are required to apply to the DVLA for provisional entitlements to be added to your normal driving licence. 3. As of 2013, there are two categories of HGV licence: Category C and Category C+1. 4. Previously known as a ‘Class 2 Licence’, this allows you to drive rigid vehicles (that is, all in one units) over 7.5 tonnes in weight. 5. Replacing the old ‘Class 1 Licence’, this allows you to drive any HGV with a trailer attached. 6. To get your licence, you will be required to first pass a theory test and then a 90-minute practical test. 7. By law, anyone wishing to drive a HGV or bus professionally must also hold a Certificate of Professional Competence (CPC). Qualified HGV (or LGV as such vehicles are also known) drivers are always in high demand. Given this, as well as the fact you are often able to choose your own hours and spend most of your working life seeing the country from behind the wheel make this a popular job for many people. However, while there are no academic requirements for becoming a driver, you will need to be fully trained, with this requiring commitment and, in most case, a willingness to invest money in achieving your professional ambitions. Understandably, not just anyone can drive a HGV. In fact, before you can stat work as a professional driver, you’ll need to get qualified and show that you have the skills needed to drive a lorry safely. For starters, before you can start your training, you will need to be at least 18 years old and hold a full car licence. Once you meet both these criteria, then you are able to move forward and get trained to drive a HGV. So, first you are required to apply for provisional entitlements to be added to your normal driving licence. To do this, order a D” ‘Application for a Driving Licence for a Lorry, Minibus or Bus’ form from the DVLA Website. You will then need to complete this fully, indicating what type of category of licence you wish to have. As of 2013, there are two categories of HGV licence: Category C and Category C+1. Category C: Previously known as a ‘Class 2 Licence’, this allows you to drive rigid vehicles (that is, all in one units) over 7.5 tonnes in weight. Category C+1: Replacing the old ‘Class 1 Licence’, this allows you to drive any HGV with a trailer attached. While in the past you had to have held a Category C licence before making the step up, now the two tests can be taken back-to-back. So, if you are aiming to find work driving an articulated lorry, you will need to apply for a C+1 provisional entitlement to be added to your car licence. As well as a completed D2 form, you will also be required to submit a completed ‘D4 Medical Examination Form’, signed by a registered medical practitioner to the DVLA. Most GPs will be happy to help you out with this – though they may charge a small fee – or, alternatively, some private firms specialise in offering drivers’ medical examinations. As a rule, you should get your provisional HGV licence within 3 weeks of submitting your application to the DVLA. Once you have this, you can get training. This is made up of 2 parts, including one on hazard perception. You can book your test online through the DVLA website and you will then be provided with a time and place to sit it. You will need to pass both parts in order to get your theory test certificate, though you are able to take them again as many times as you need. Once you’ve passed and got your theory certificate, you will need to take your practical test within 2 years. There are dozens of specialist training providers across the UK, most of them offering comprehensive training for driving Category C and Category C+1 vehicles. Course prices can vary considerably, while most schools will offer the chance to learn part-time or intensively. The Wallace School of Transport in London (http://www.wallaceschool.co.uk/) for example, offers a free one-hour driver assessment, after which their instructors will be able to provide you with details of a training package designed just for you. (UK Jobs Guide does not vouch for their service). The practical test will last around 90 minutes and, as well as practical road driving, will include vehicle safety questions while also requiring you to demonstrate an awareness of other road users and their intentions. Once the test is over, your examiner will let you know whether you’ve passed or fail. If you have failed, you are required to wait at least 3 days before trying again. If you have passed, however, then your licence will be upgraded accordingly. Note that, having the appropriate licence is not enough if you want to drive HGVs for a living. By law, anyone wishing to drive a HGV or bus professionally must also hold a Certificate of Professional Competence (CPC). To gain the CPC qualification, candidates must sit formal exams, with these held four times a year at centres across the country. Driver training schools will be able to help you book your test and to guide you through it. As with upgrading your licence, to gain your CPC, you will need to sit both practical and theory tests. In all, you will need to pass four core modules, including one on theory and hazard awareness and another, more practical element where you will be asked to demonstrate a good understanding of issues such as load restraints and securing hazardous loads. 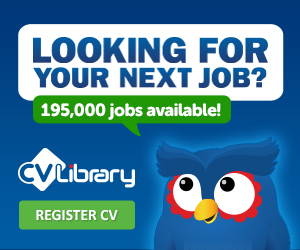 Once you have your upgraded licence and CPV, then you can start looking for paid work. UK Jobs Guide normally has thousands of HGV jobs advertised on our site, for the latest HGV jobs click here - you can refine your search by adding your location. You can also try asking the school you trained with since they may know about new opportunities or may at least be able to point you in the right direction. You may decide that HGV driving isn’t for you, we have guide on becoming your own boss all you need is a Van or we have a job guides section on other driving jobs including Taxi driver, Driving Instructor, Bus Driver, or Delivery van driver. Also you may want to speak to your local jobcentre about your options and if they can help you, we have every UK job centre listed on our site with contact details for you.